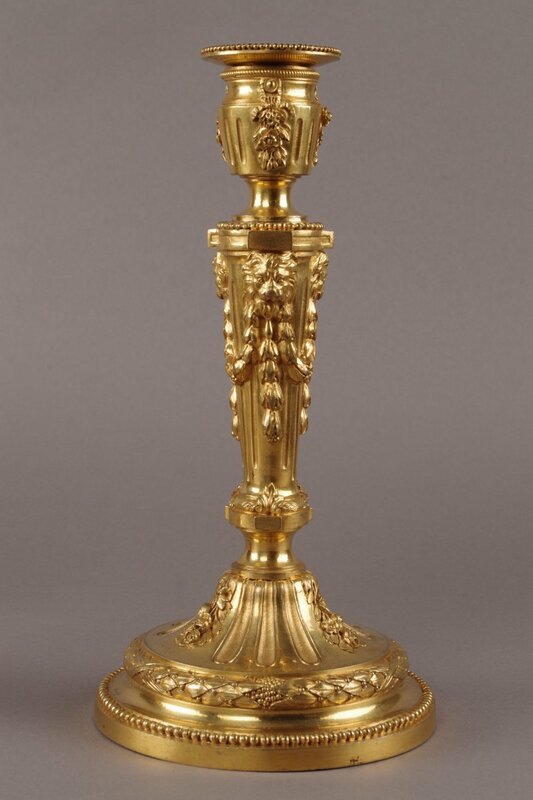 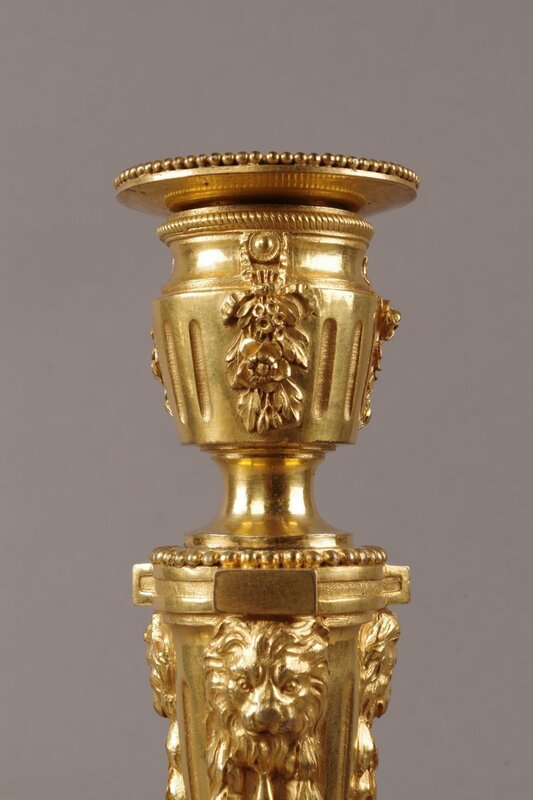 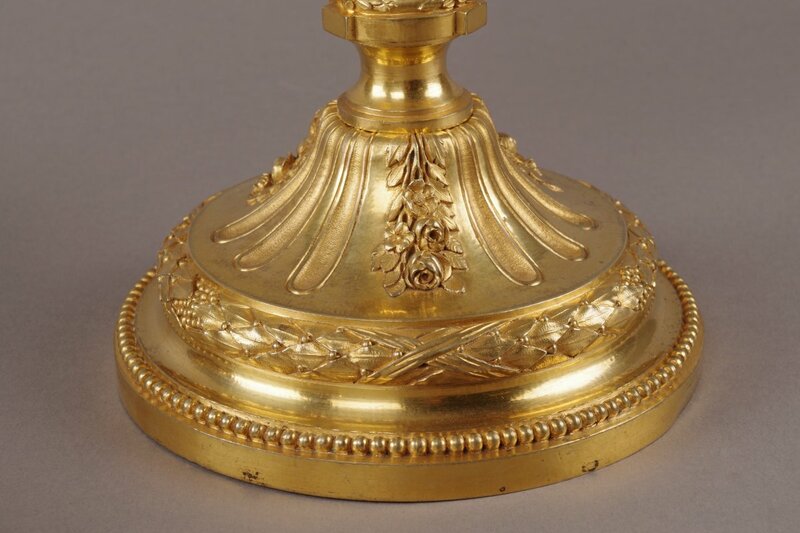 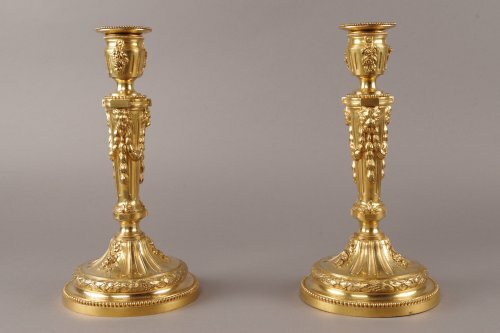 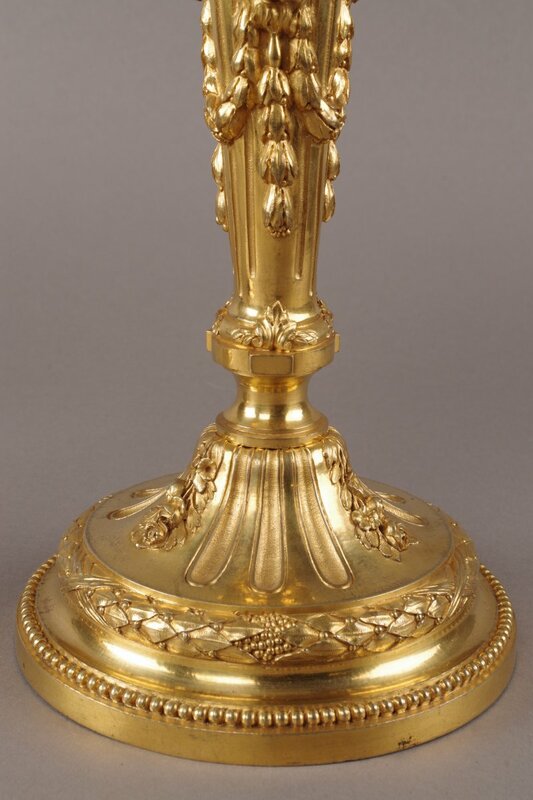 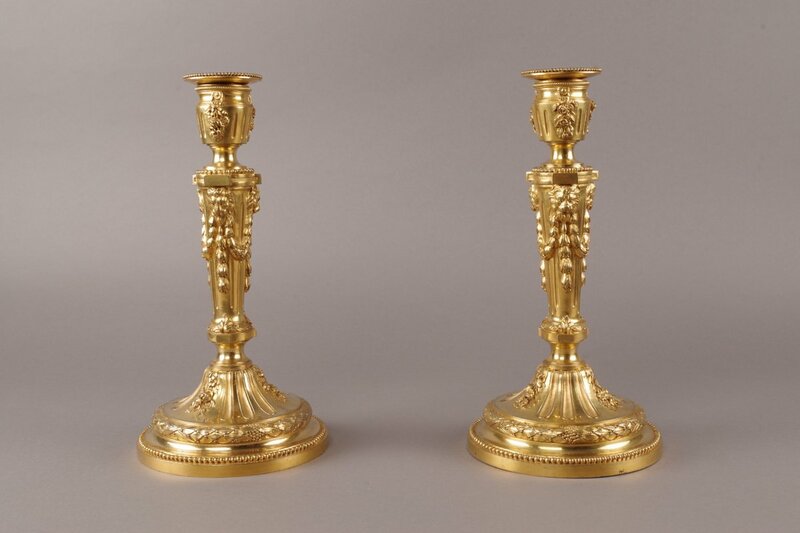 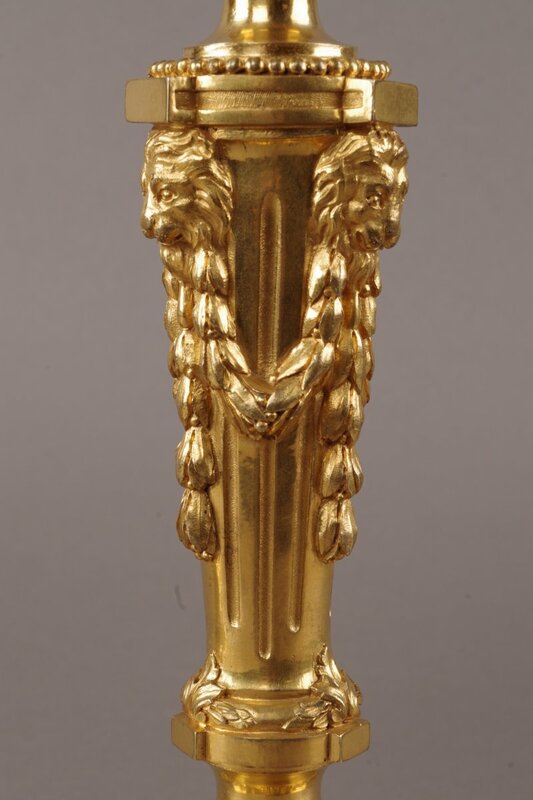 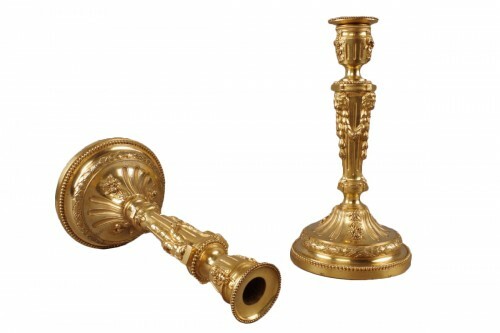 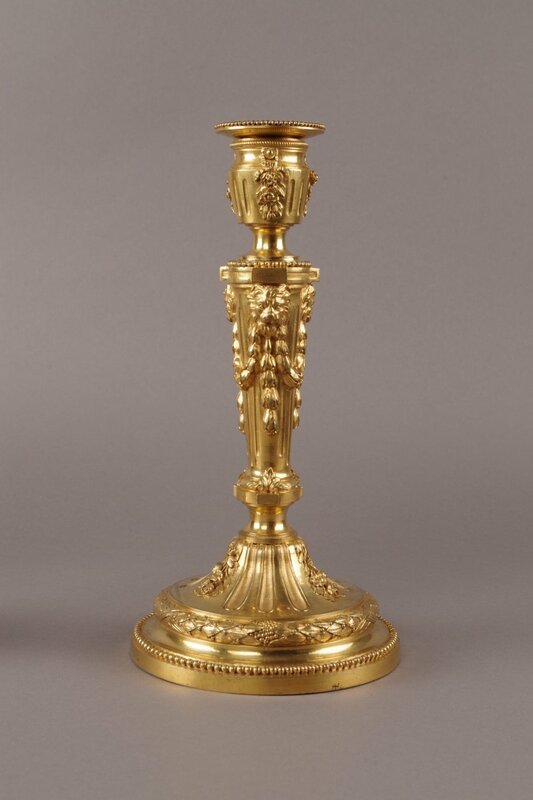 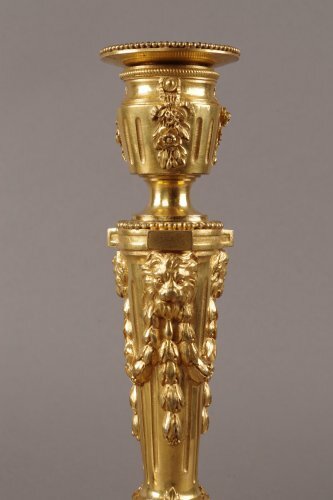 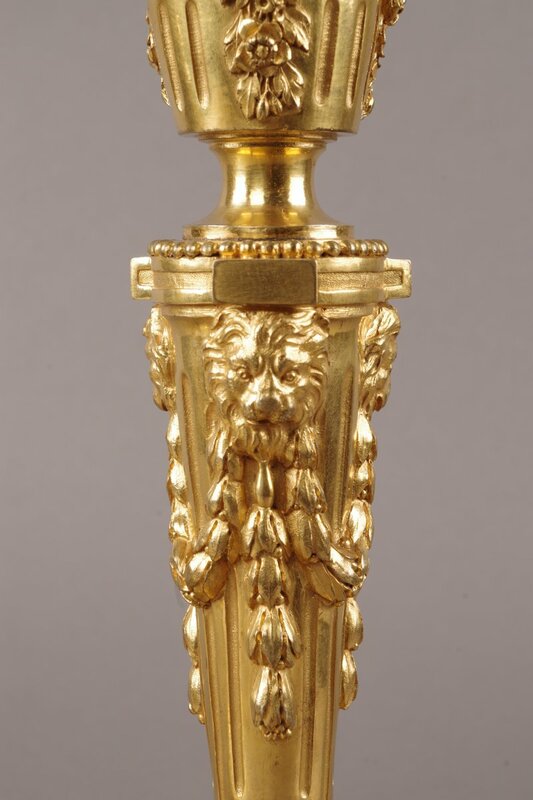 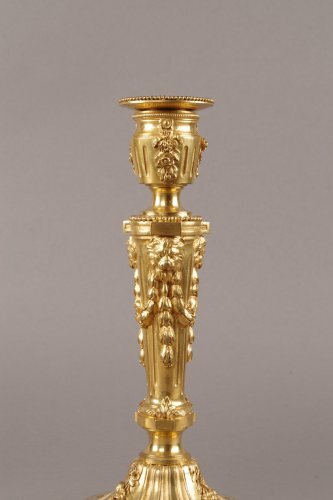 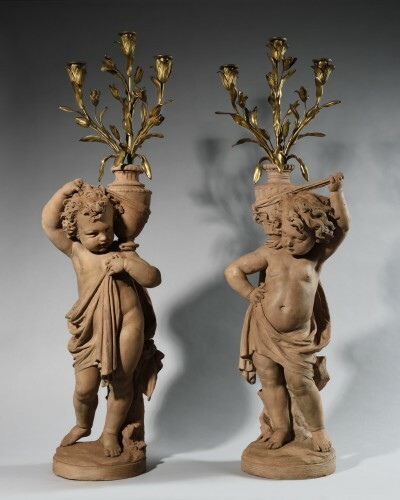 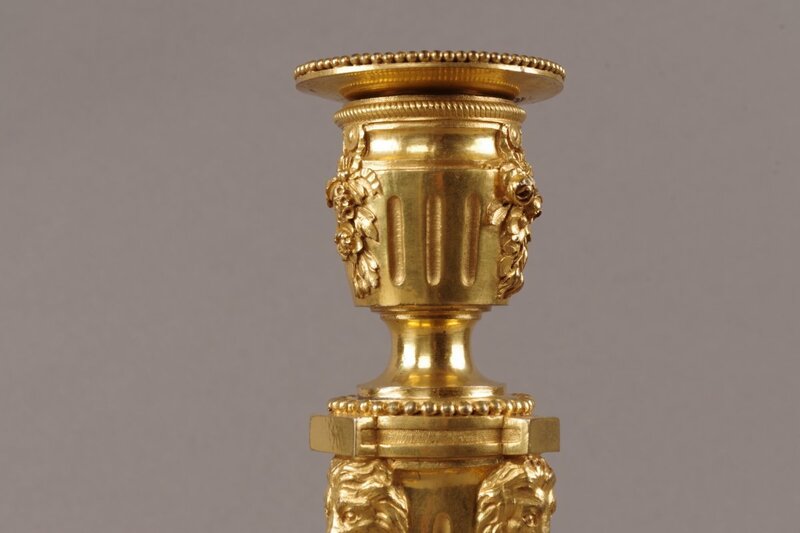 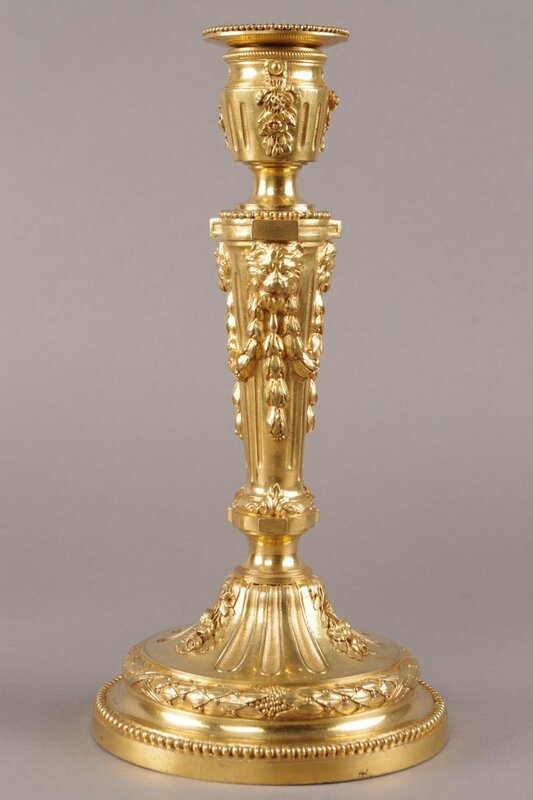 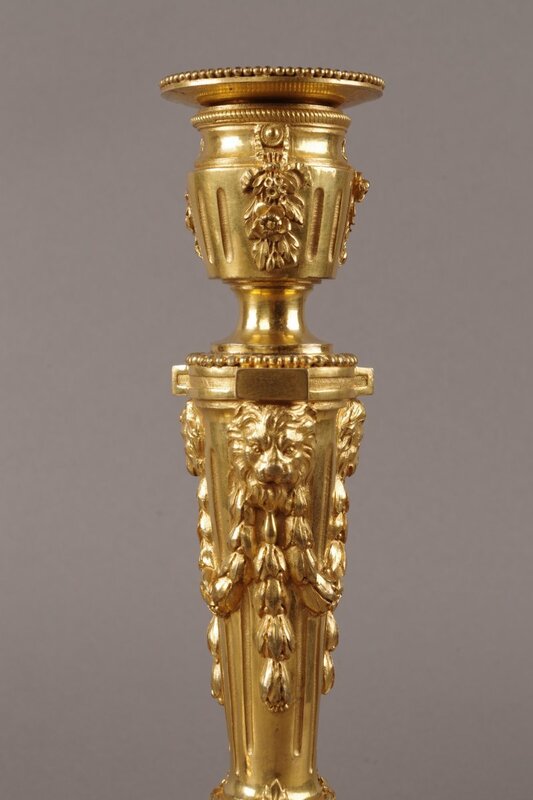 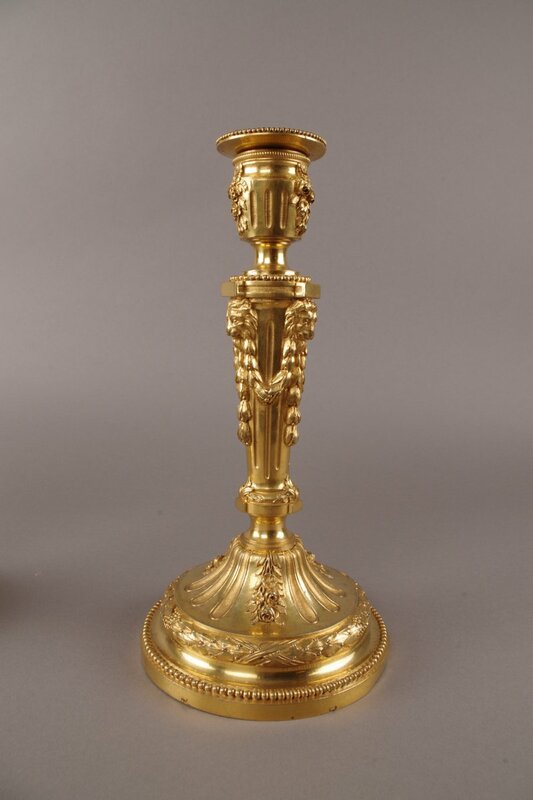 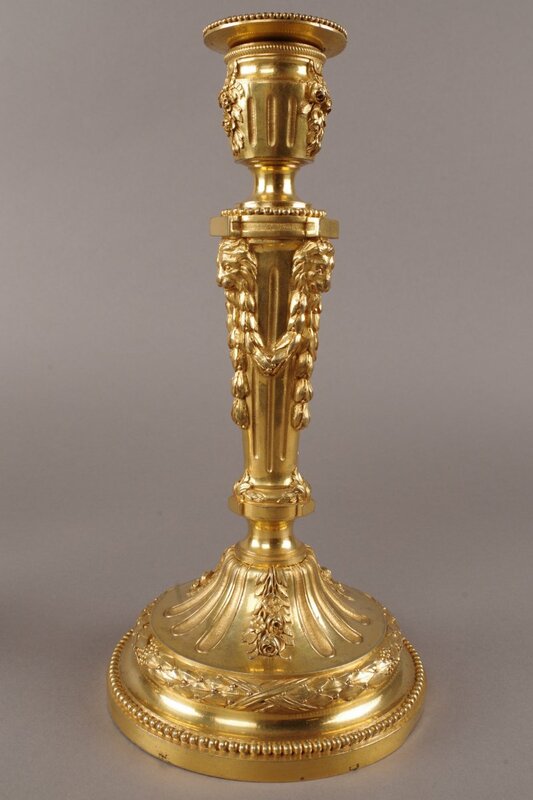 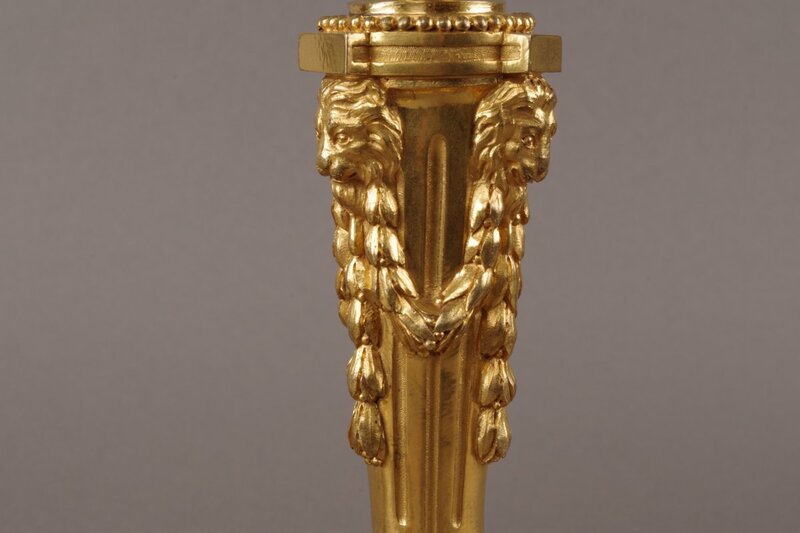 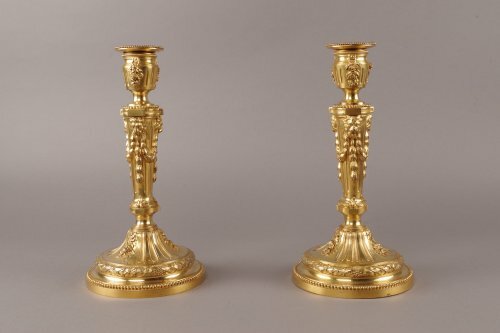 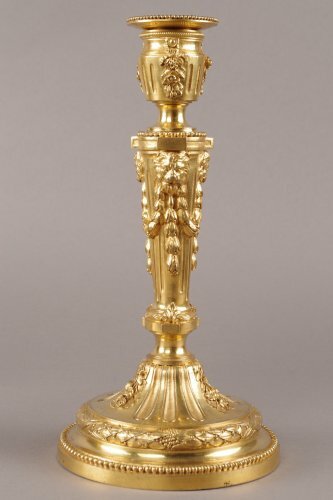 Nice pair of candlesticks gilded bronze in the taste of the 18th century. 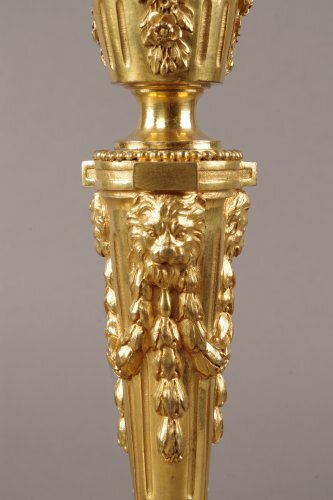 Lions muzzles decor, beads, flowers, grooves and garlands. 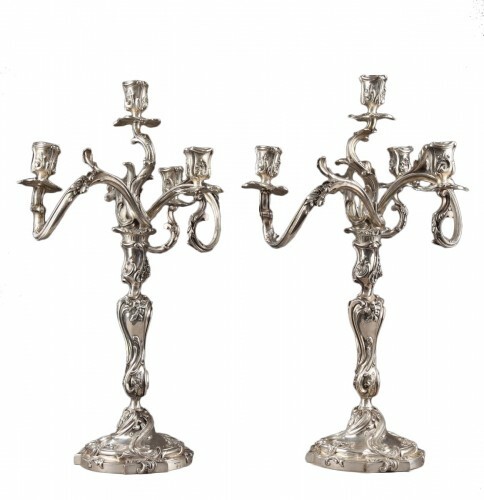 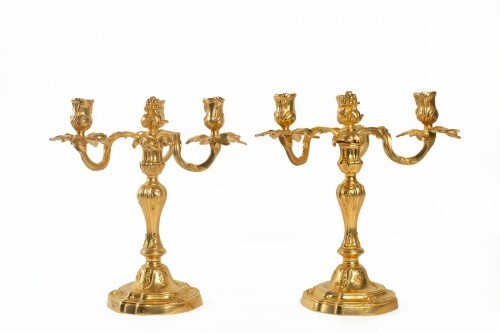 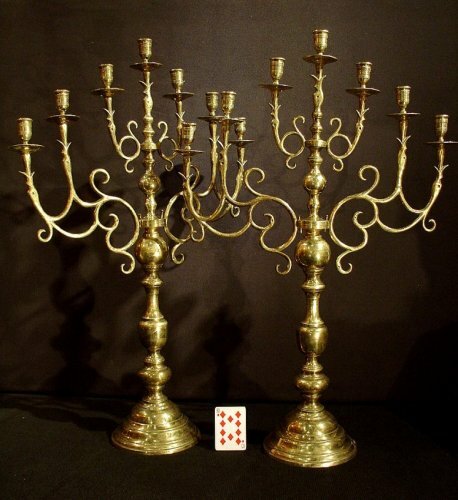 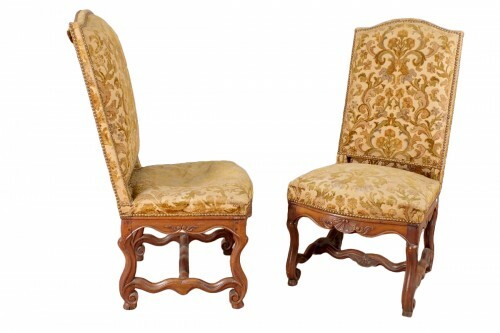 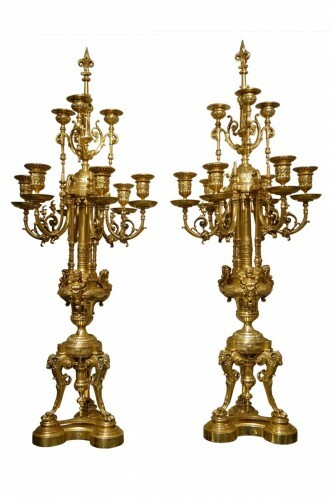 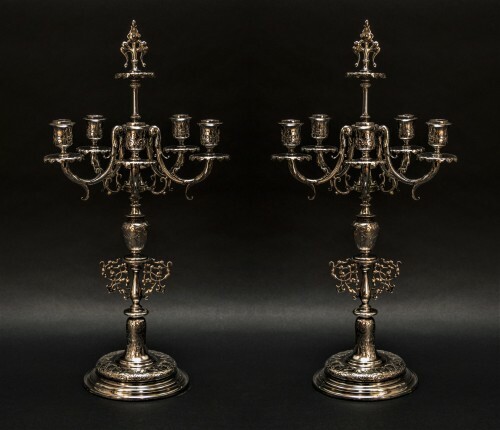 Louis XIV chairs "os de mouton"
Pair of candelabra, Persian style.